Steven Knight has closed a deal to pen the sequel, to be directed by Juan Antonio Bayona. Steven Knight, the screenwriter whose credits range from Eastern Promises to the current Tom Hardy drama Locke, has closed a deal to pen the sequel to World War Z for Paramount and Skydance. The project already has a director in Juan Antonio Bayona and will now work closely with Knight on the script. World War Z was based on the novel by Max Brooks (although bares little resemblance to the book) and was a surprise hit, grossing $540 million worldwide. 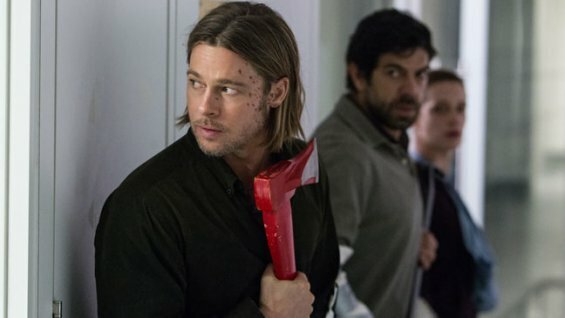 World War Z starred Brad Pitt (who also produces) as a United Nations employee who travels the world as he tries to stop a zombie plague, all the while trying to communicate with his family. The take on the sequel, which is being produced by Plan B, is being kept under wraps. Knight is a British writer who wrote thrillers such as Pretty Little Things and worked on Martin Scorsese’s Leonardo DiCaprio vehicle Shutter Island.